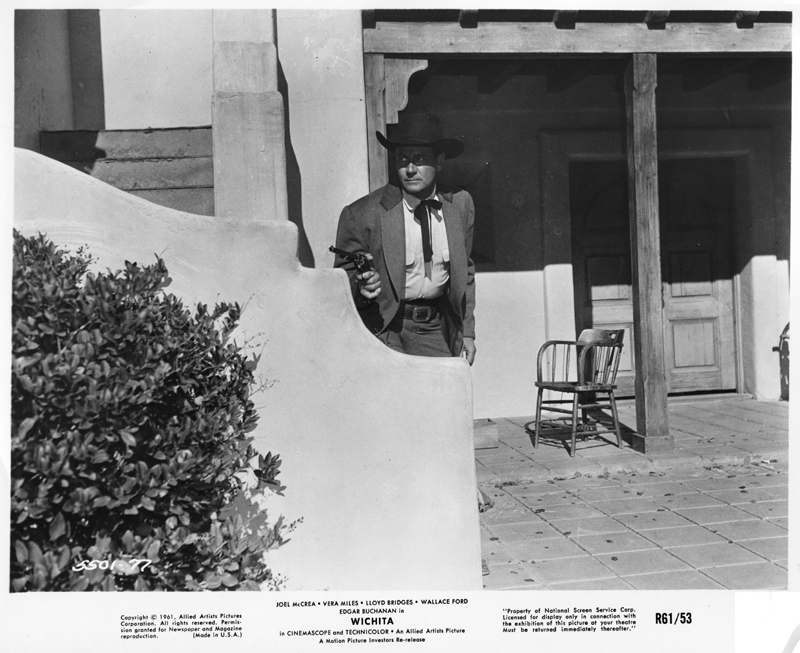 Joel McCrea at the Hacienda in "Wichita"
Joel McCrea (as Marshal Wyatt Earp) on the porch of the hacienda at Gene Autry's Melody Ranch movie studio in Placerita Canyon in the 1955 feature film, "Wichita." 8x10 glossy promotional still from a 1961 re-release. LW2489b: 19200 dpi jpeg from original print purchased 2013 by Leon Worden from a dealer in France.